Give one on one attention to our customers. We do our best to listen to our customers and understand what their flooring needs are, and then we try to match the best flooring for what the customer likes, and how they will use it. Before we do any flooring installation, we go onsite to review the space, to ensure we have sufficient materials ordered, and answer any questions the customer may have about the flooring or the installation process. 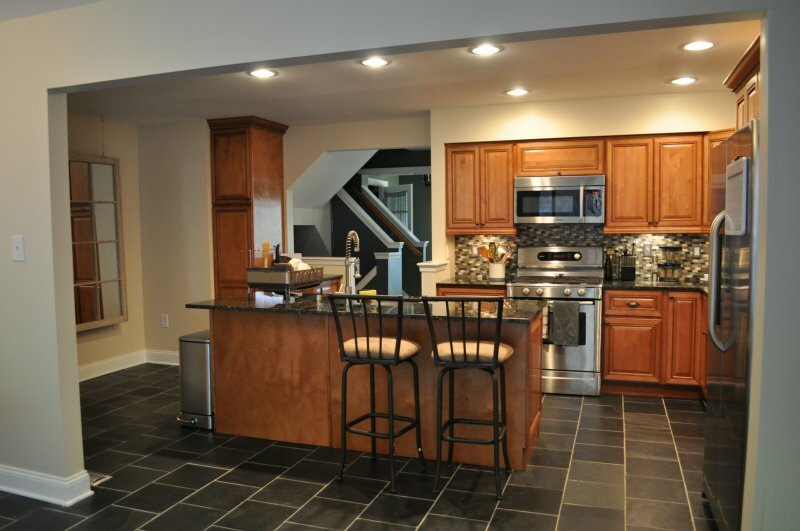 Here are some client stories about their experience with Milford Flooring. 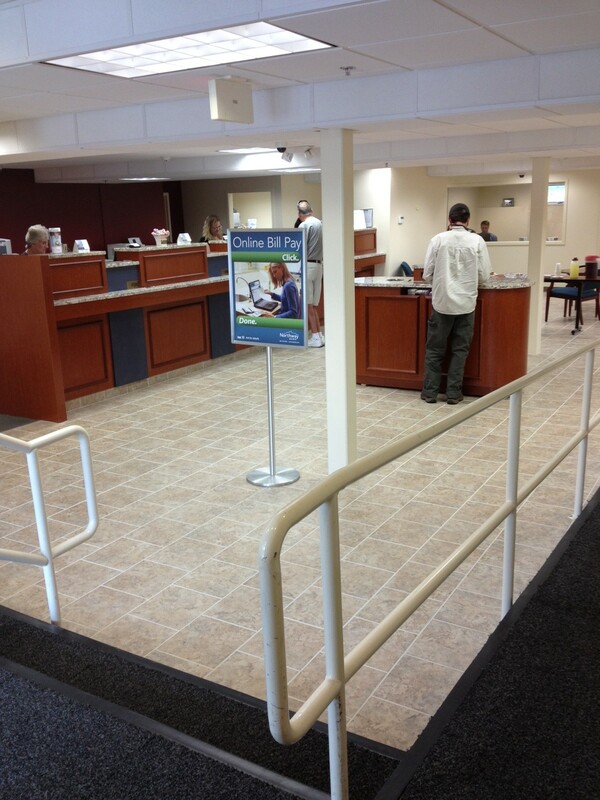 Local Bank uses TEC Power Grout with Great Results! In July 2013, Milford Flooring worked with Glen Builders in the relocation and renovation of the Northway Bank Intervale branch. As there was only a modest amount of natural light in the main lobby area, bank management wished to offer a bright and open space for their customers. 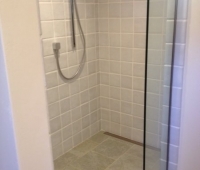 In selecting their tile, they also wanted a grout that would match its light color. Given that it was near the entrance, it was critical that the grout color could stay fresh despite the significant amount of traffic that the area received. 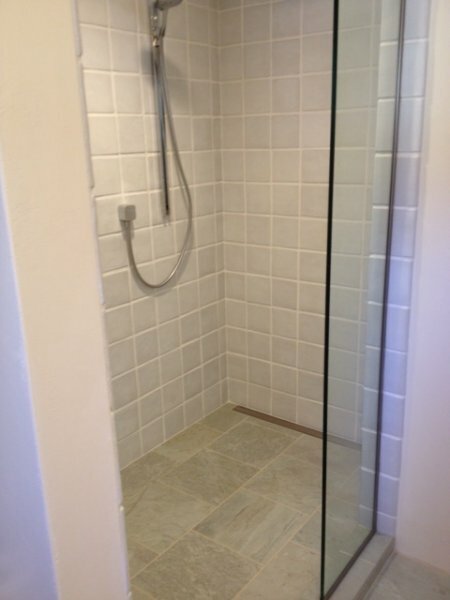 As a result, Kevin Milford recommended that they use TEC Power Grout in the space. After a year and a half, the space still looks great! 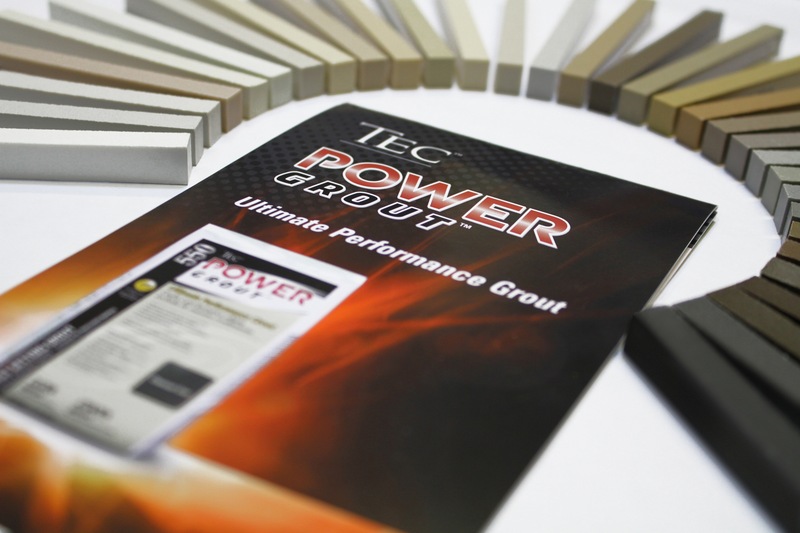 TEC® Power Grout® is a breakthrough in grout technology. It maximizes performance while providing ease of use. 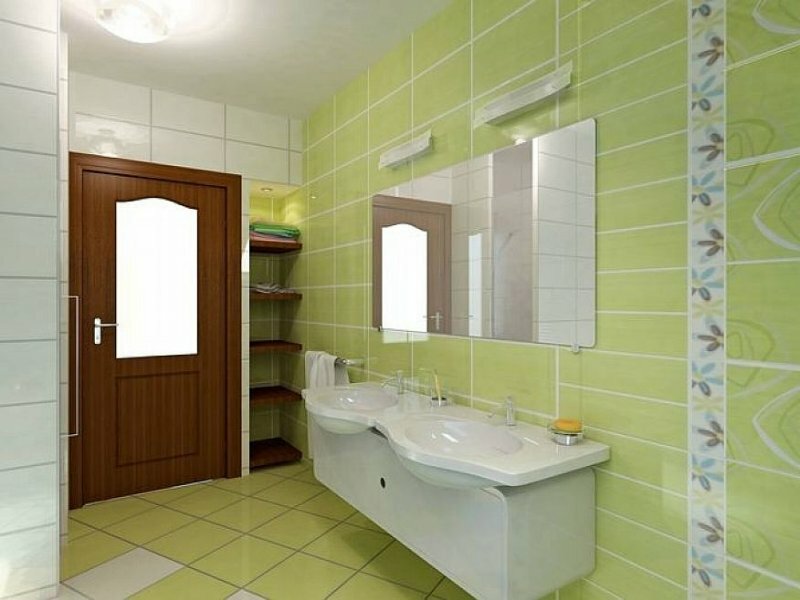 Its unique formulation is highly stain resistant and provides strong, color consistent joints by resisting efflorescence, fading, cracking and grout shrinking. TEC Power Grout provides excellent performance in virtually any environment, including high traffic and wet conditions, and in residential and commercial applications. In an effort to offer the latest products, it is important to make sure that our installers receive training on how to install those products. Recently, our installer, Kip, attended a three day Altro floors training in Manchester, MA. Altro Commercial Floors is a great nonskid option used in commercial bathrooms, kitchens, bar areas, entrances, etc…. Milford Flooring has installed Altro floors at the Omni Mt Washington Hotel, Red Jacket Kahuna Laguna, Conway Scenic Railroad, Delaneys, Muddy Moose and other local business establishments. Learn more about Altro floors at www.altrofloors.com. One of the latest trends to occur in hardwood flooring is oil finished flooring. These floors are installed quite extensively in Europe, with over 1/3 of hardwood flooring installations in Europe being oil finished, yet it is a relatively new option in the United States. 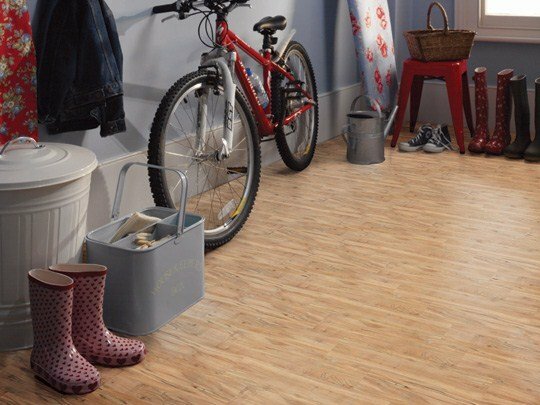 While most wood floors are finished with a urethane or aluminum oxide top surface, these floors are protected by an oil finish. Urethane floors typically have some gloss to them, so when scratched or scuffed, those markings are typically visible. 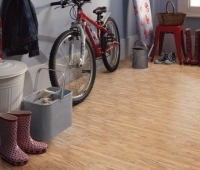 In the case of oil finished floors, the floor has a more natural look than any other wood finish. Because there is not a gloss applied, scratches tend to be less noticeable, and repairing scratched or worn areas is much simpler than in a urethane finished floors. This flooring was provided by DuChateau floors… beautiful natural wood looks that look great in any home! See more of their flooring selection at duchateaufloors.com. We originally went to Milford Flooring because we wanted personalized service and prefer to do business locally. Karen Milford provided that personal service we were looking for. We needed a renewable flooring solution for our Be Well Yoga Studios, and Milford Flooring had what we needed. Cork is a renewable resource and more importantly for a Yoga studio it looks beautiful and it is considerably warmer than just a wood floor. Karen provided multiple samples for us to take “home” so that we could make an informed decision. We fell in love with one of her products – she was able to have it available to us in a timely fashion. The feedback from our Yoga Instructors and students have overwhelmingly been positive. With the help of Milford Flooring we are able to provide a state of the art yoga facility, use a renewable resource, remain green and do business locally. 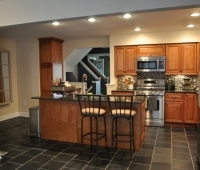 We worked with a customer who lived in Massachusetts that was building a home with Gilmore Construction in Glen, NH. Because of the amount of time they spent with their grandchildren in Massachusetts, they had limited opportunities to come up to the White Mountain area to make their selections. Of course, in building a new home, they had many selections of many different types of construction materials to select, not just flooring. This customer was able to come to Milford Flooring on a Saturday and made their flooring selections – because they had contacted us ahead of time, we made sure that we had a staff person available to dedicate the afternoon to working with them. When we checked stock with our suppliers on Monday, we realized that the carpet they had selected had been backordered for several months which would not work within their tight construction schedule. 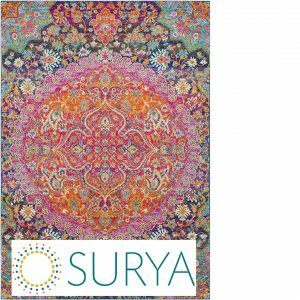 As a result, we were able to contact the supplier of the carpet they had originally selected, and found another retailer close to their home in Massachusetts that carried the same carpet line. They were able to select an alternate carpet without having to return to Intervale to do so. In addition, we had the supplier send larger samples of the colors they were interested in directly to the customer’s home in Massachusetts, so they could make sure that the carpet would coordinate with the paint and upholstery samples they had already chosen. We were able to replace their original choice with the new carpet selection, and proceed with ordering the carpet and the installation within the original timeline requested. A shout-out to Portland Glass for our new showroom windows! © Copyright Milford Flooring - - - - - Milford Flooring services the Mount Washington Valley, Western Maine, Intervale, Jackson, Conway, Bartlett, Glen, North Conway, Fryeburg, Gorham, Berlin, Madison, Tamworth, Freedom, Ossipee, Chatham and all surrounding towns.